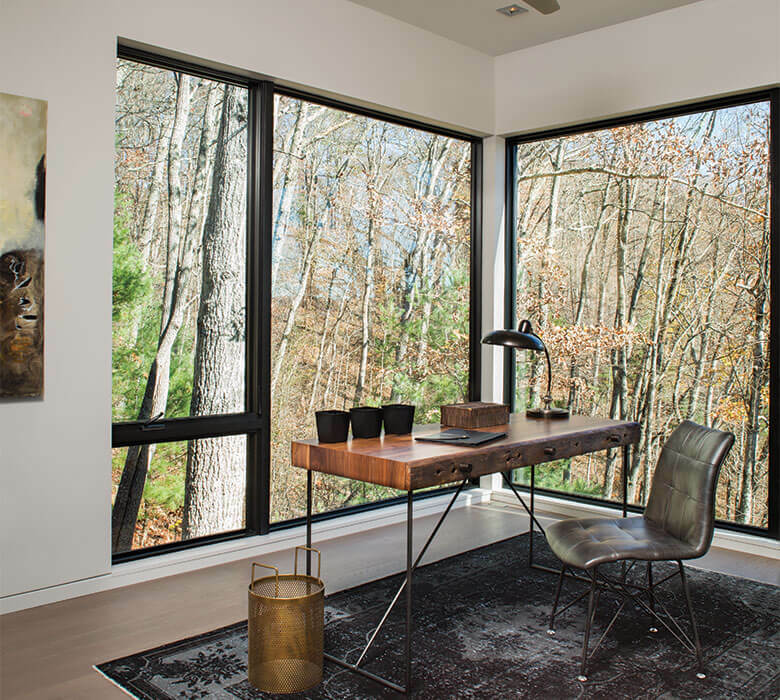 VistaLuxe® windows and doors with narrow, modern profiles and large expanses of glass allow the homeowners to enjoy phenomenal views from every angle. 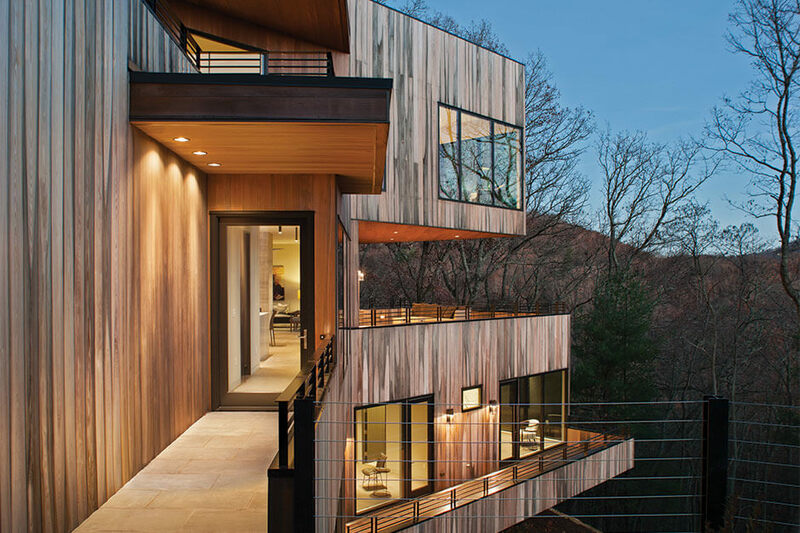 The cantilever construction allows for private mountain views from the home's interior and from the home's three walkout roofs. We had three criteria for the windows that all had to be met: the windows had to have a narrow, modern profile, they had to meet strict energy efficiency requirements, and the window package had to be economically feasible due to the large amounts of glass. Kolbe was the only window company that could fulfill all three of our criteria and everyone involved was very happy with the window package. 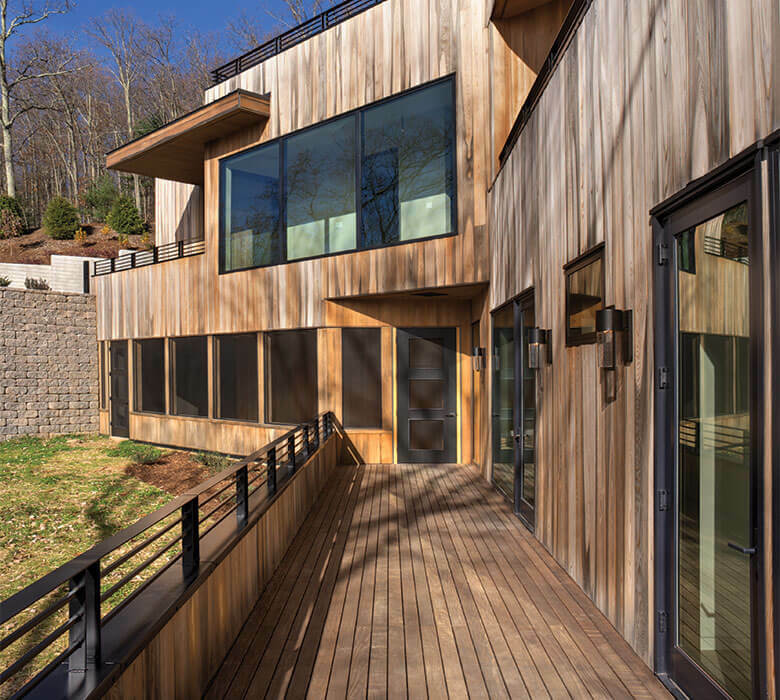 Despite the large footprint and luxury finishes, we wanted this home to be efficient and eco-friendly. The design would be simple and clean, yet striking. The incredible view was another feature of this home. 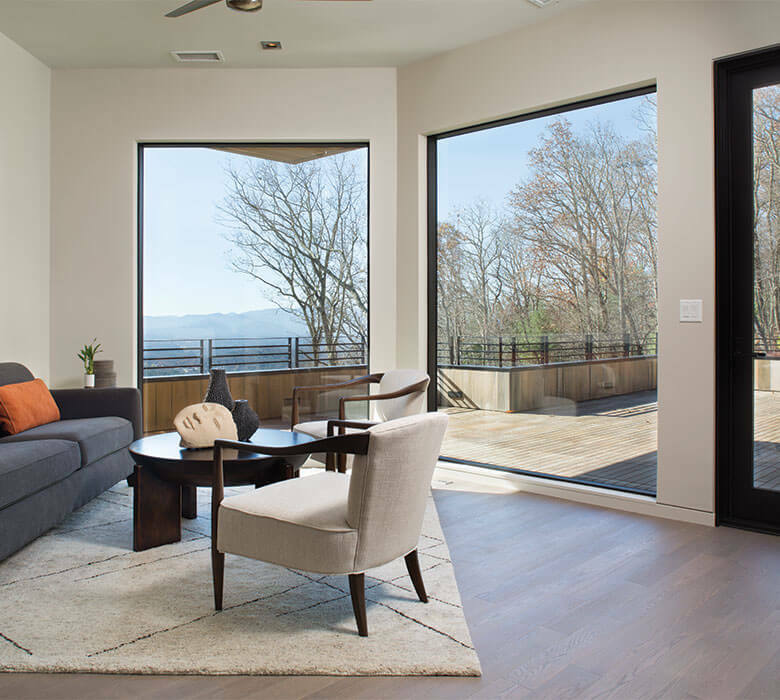 Kolbe's VistaLuxe® Collection windows throughout the home allow the homeowner to experience unobstructed views of the mountains from multiple angles within a room, while remaining energy-efficient.